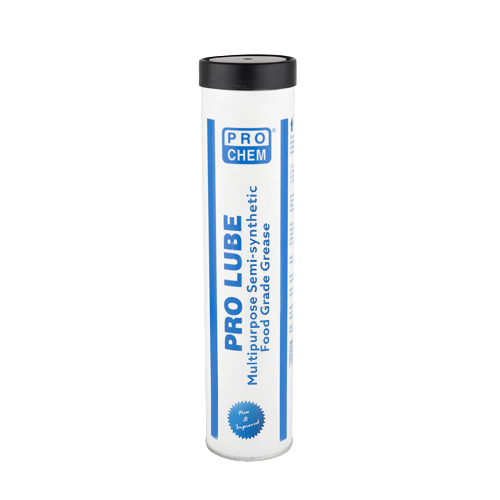 PRO LUBE | Pro Chem, Inc. PRO LUBE is a multipurpose, semi-synthetic, non-melting, H1-rated grease that is specifically designed for all general lubrication needs in food processing facilities. Because it is white, odorless, tasteless and H1 rated, it is completely acceptable for use in all areas where incidental food contact may occur. This grease’s semi-synthetic formula makes it a multiservice maintenance grease. It stays on metal surfaces much longer than conventional greases due to its excellent film-forming characteristics and antiwear qualities. This grease is extremely resistant to water washout, friction and chemical attack, making it the professional’s choice for your lubricating needs. Remove old grease before applying this product. 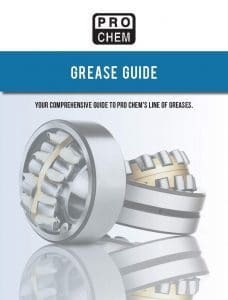 For ball-type grease fittings, fill with this product until old grease is forced out.